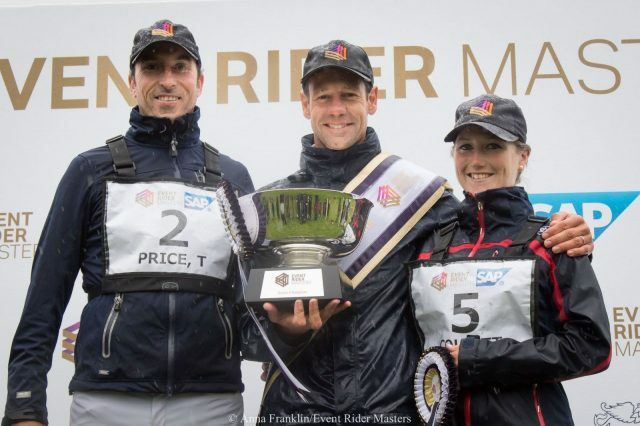 Your 2018 Event Rider Masters series podium: Tim Price, Chris Burton and Laura Collett. Photo by Anna Franklin/Event Rider Masters. If there’s one thing we learned from the 2015 European Championships, it’s that when it rains at Blair, it pours. And it doesn’t just pour in any normal capacity; it thoroughly tips it down, as though a bevy of angry bekilted men in the sky have decided it’s high time we revived the Ice Bucket Challenge. But what’s eventing without an unplanned and almost Biblical change in the weather? Showjumping, that’s what. Boring. 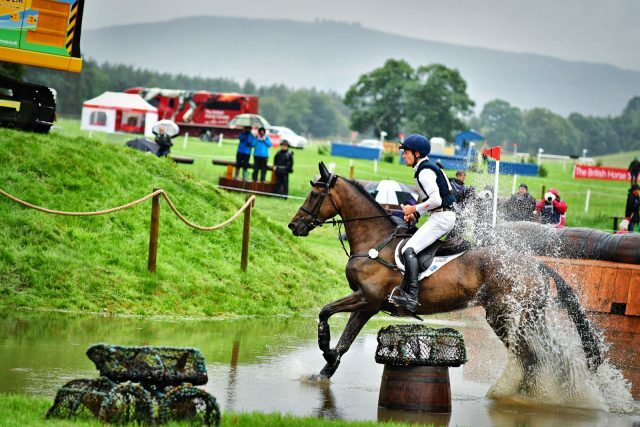 A sudden deluge allows you the chance to analyse the course, and those who will tackle it, in an entirely different light — and in the case of a fast-paced, tightly-packed CIC3* like an Event Rider Masters leg, it can change everything. Chris Burton and Graf Liberty clear the Forth Bridge. Photo by Tilly Berendt. The field for the final leg of the 2018 Event Rider Masters series might not have been large — only 23 combinations started the competition — but it was never likely to be a walk in the park. Unlike last year, in which series winner Gemma Tattersall had laid such a decisive claim upon the series that her title was set in stone with a leg yet to go, it was all still very much on the table as we dove into Blair’s leg. Three riders hovered at the top of the series leaderboard, and all three came forward to chase valuable points over the weekend. Australia’s Chris Burton led the way with 96 points before the competition commenced, Laura Collett followed closely behind on 86, and indomitable Kiwi Tim Price sat in third place going into the leg. 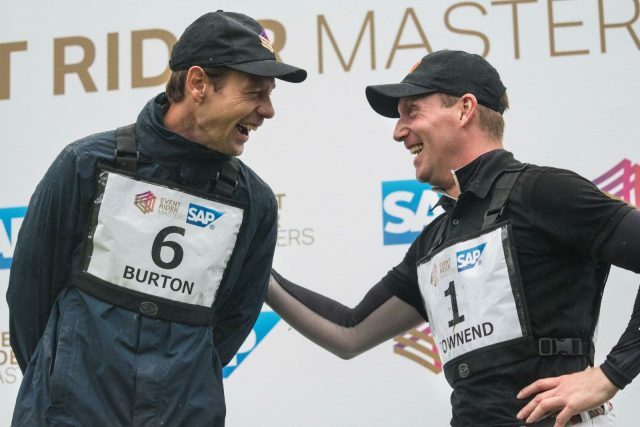 But after the first phase, none of the three series contenders was in the lead — instead, it was the man whose name has been on everyone’s lips recently, and who had so impressively taken the non-Masters CIC3* the day prior. Oliver Townend and his 2016 Blair ERM winner Cillnabradden Evo sat in top spot on a 26.4, despite feeling that the test was “disastrous,” while Chris Burton and Graf Liberty made early strides to sit just behind him in second place. There wasn’t a pole to spare between first and eighth place — and all three series contenders sat comfortably within those margins. Oliver Townend and Cillnabradden Evo slip out of the lead in the second phase. Photo by Tilly Berendt. Sunday’s showjumping test dawned not-so-bright but early, as the previous day’s smattering of sunshine was banished in favour of oppressive cloud cover and driving rain. It would prove to be an influential phase — just five riders would produce clear rounds, falling short of the predicted eight, and rearranging the placings going into the final phase. 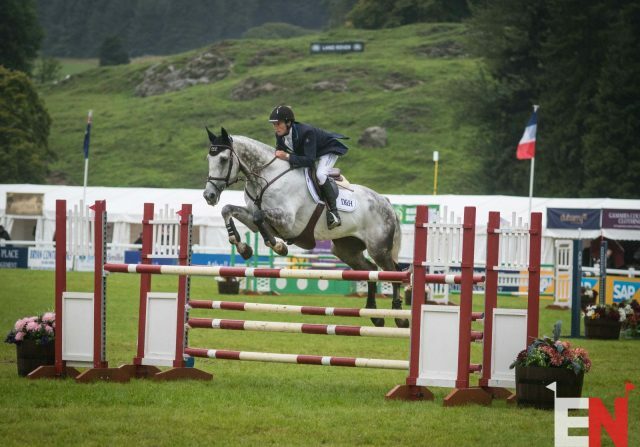 Emily King and Dargun jump a fault-free showjumping round. Photo by Tilly Berendt. After Oliver Townend and Chris Burton each dropped poles, the door was opened for Bramham CCIU253* winners Emily King and Dargun to move into the lead, giving Emily the chance to fight for her first-ever spot on an ERM podium. 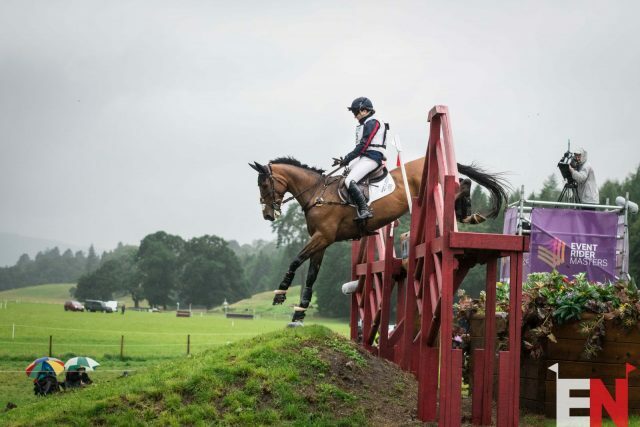 Behind her, Australia’s Shane Rose –– winner of last year’s leg — piloted CP Qualified to second place, and, still clinging on to the hope of a podium place, Oliver Townend and Cillnabradden Evo held onto third place. Laura Collett and London 52. Photo by Tilly Berendt. As is always the case in an ERM leg, any penalties added are expensive — and can be heartbreaking. Laura Collett‘s quest for the series win — and, indeed, a place on the series podium — looked as though it might have come to an early end as two lowered poles pushed her and the young London 52 well down the placings into 16th. But it would all come down to the final, fast-paced cross-country course, and who would be able to dig deep and find crucial extra seconds to shave off across Blair’s steep (and soggy) course. The time proved well-nigh impossible to get — or so it seemed. Chris Burton and Graf Liberty. Photo by Tilly Berendt. Chris Burton has long had the reputation of being the fastest cross country rider in the world, and, sitting outside of the podium placings, he knew he had to make his round count. He and Graf Liberty were third in the CIC3* here last year, adding just 0.8 time penalties, and this weekend, they went one better — by taking economical routes and maintaining a consistent cruising speed, they laid down the only double-clear of the day. This makes Chris not only just the second person to win an ERM leg having had a pole down in the showjumping, but only the second person to make the time in the ERM at Blair, too. This, and the early retirement of leaders Emily King and Dargun, were enough for Chris to take the win, not only in the leg, but in the 2018 series as well, giving him a £46,000 payday that certainly outshone the dreary conditions. Chris Burton and Oliver Townend on the podium. Photo by Tilly Berendt. Despite Chris’ consistency around CIC3* tracks, this season sees the first time he’s taken an ERM leg, with a victory at Arville prior to his Blair coup. 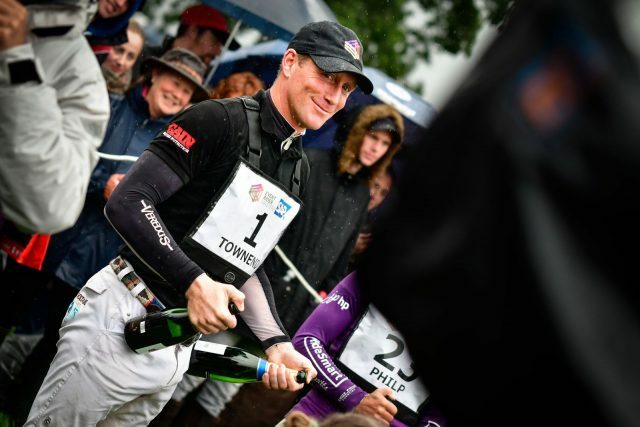 Oliver Townend arms himself accordingly for the ERM podium celebrations. Photo by Tilly Berendt. First-phase leaders Oliver Townend and Cillnabradden Evo added just 2.8 time penalties to finish in second place, though some discussion about the possibility of a missed flag slowed down proceedings. With good humour and typical Yorkshire bluntness, Oliver accepted his prize with a smile. 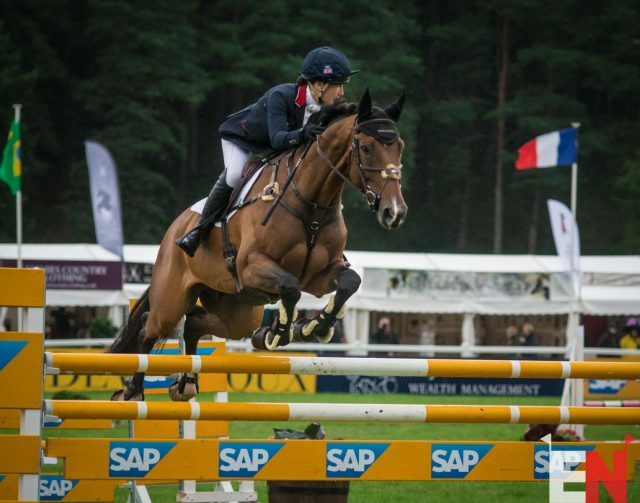 Emily Philp and Camembert deliver in their ERM debut, producing their 20th clear international showjumping round. Photo by Anna Franklin/Event Rider Masters. 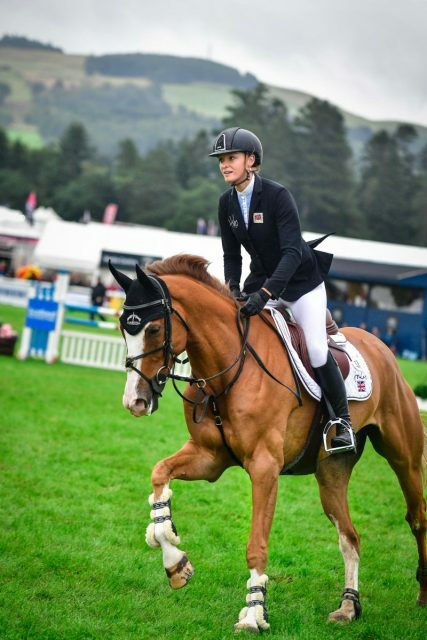 A new face made up the third spot on the podium, after a clear showjumping round and just 2.4 time penalties allowed her to climb well up the leaderboard. Emily Philp and Camembert finished on a score of 33.9, their best-ever three-star finishing score in four seasons at the level. Tim Price and Wesko. Photo by Anna Franklin/Event Rider Masters. 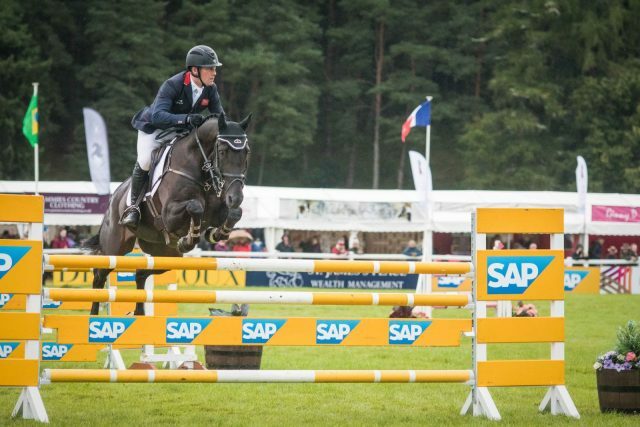 Tim Price and Wesko added 5.6 time penalties to the four penalties they’d picked up in the showjumping, finishing sixth in the leg and third in the series, just a point behind eighth-placed Laura Collett, who finished second in the series standings. Laura Collett and London 52 finish in eighth place. Photo by Tilly Berendt. 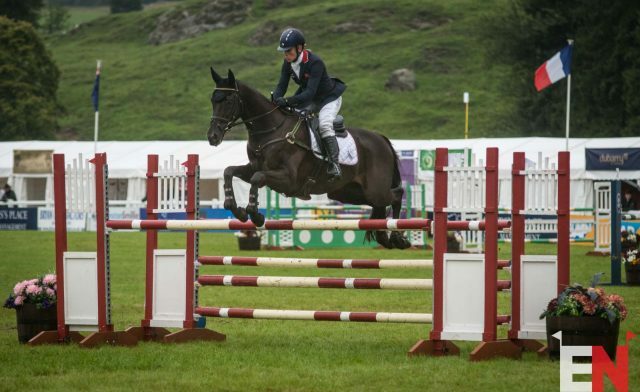 Not content with simply finishing in the money in the ERM, Tim Price sprinted back to the collecting ring in time to jump a foot-perfect showjumping round in the CCI3* class aboard Pats Jester. This bumped him from third place into the winner’s spot as those ahead of them had unfortunate rails, scuppering their chances of victory. 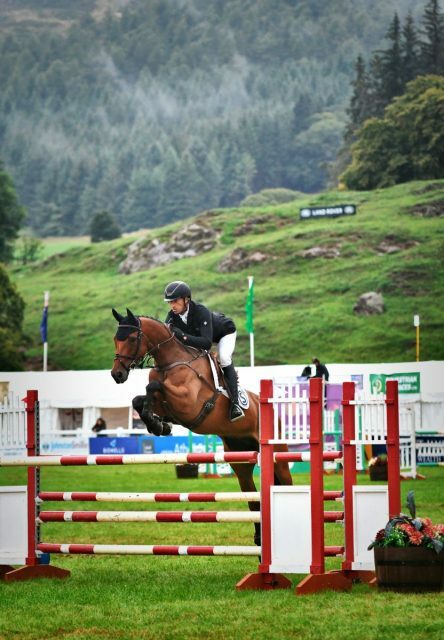 Tim Price and Pats Jester add a CCI3* victory to their resume. Photo by Tilly Berendt. Pats Jester, who was named for breeder Kate Maitland‘s late mother Pat, might have won in his debut three-star at Ballindenisk, but he’s yet to reach the leagues of superstardom of the rest of Price’s top-level string. Tim and Pats Jester finished bang on the optimum time in Saturday’s cross-country, demonstrating an undeniable return to form after a difficult start to their season. “He’s had a funny old year, but I’m really proud of him for finishing it on this note,” said Tim. 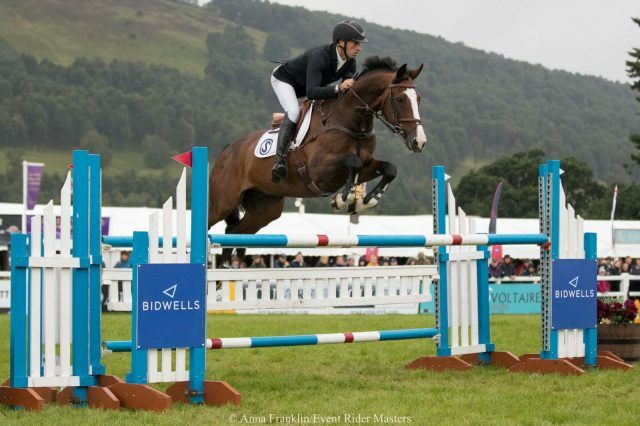 The 10-year-old gelding was eliminated for a horse fall at Poland’s Baborowko CIC3* in May, and eliminated again across the country at Belgium’s Arville CIC3* in June. This meant that he was disqualified from competing at the level, and so Tim ran him in Barbury’s CIC2* in July to regain his qualification. 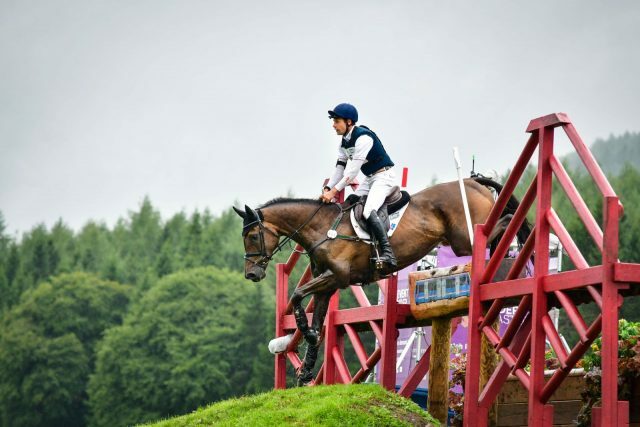 A steady run and 24th place meant that they could contest Gatcombe earlier this month, finishing seventh in the British Open Championship CIC3*. 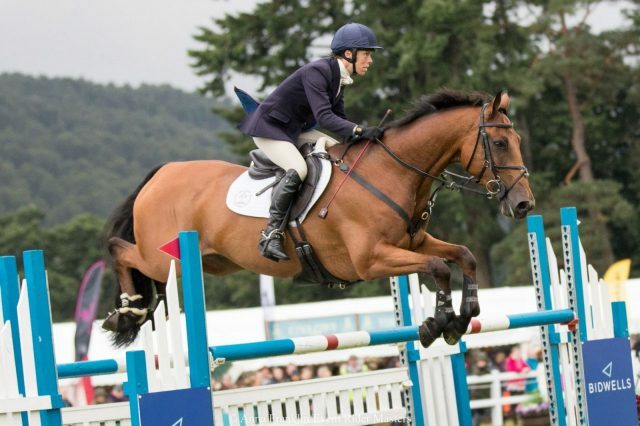 His clear round in trying conditions is due to the Price family’s winter training regime, which sees them contest international showjumping classes on Spain’s Sunshine Tour. Pats Jester will end his season now, in preparation for the big move up to four-star in the 2019 season. Tom McEwen and Strike Smartly. Photo by Tilly Berendt. Tom McEwen and Strike Smartly led throughout, but tipped the planks to slip into second place. Izzy Taylor and Director General. Photo by Tilly Berendt. Third place went to Izzy Taylor and the much-reformed Director General, who overcame first-phase issues earlier in the season to produce three impressive performances this week, adding just a pole to their dressage score of 27.7. So that’s a wrap on this year’s busy, blustery Blair Castle — now, we move swiftly on to the Big B, with nary enough time to wring out our knickers betwixt the two. Pack away your sporrans for another year — we’ll see you in Lincolnshire! 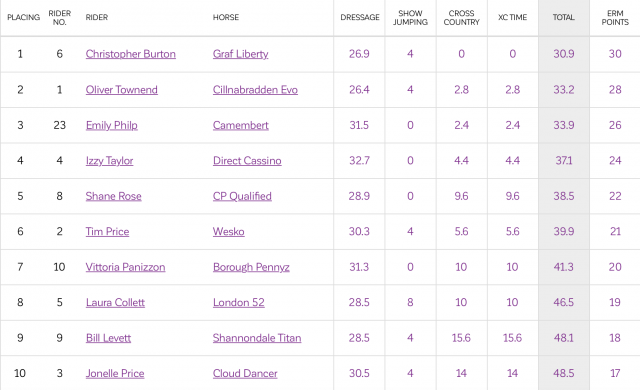 The Blair Castle CCI3* top ten.